Here is the new trailer for Diving Deep for Sea Shells. Please enjoy and share to help spread the word. We are happy to have a new cover with photo by Phil Fewsmith. Soon it will be available as an ebook and from other retailers, we will post the updates here. Stella Castellucci tells the story of her remarkable life in music. Born in Los Angeles in 1930 to musician father Louis Castellucci, Stella would go on to continue and further his legacy. Stella joined Peggy Lee's touring jazz group in 1953. They would form a close friendship that would endure past Peggy's life. Stella witnessed and took part in a very creative time for Peggy Lee in the 1950's. They would closely collaborate on the 1958 Decca release Sea Shells. Stella would also appear on the Peggy Lee albums: Songs in an Intimate Style (Decca, 1954), Black Coffee (Decca, 1956), Dream Street (Decca, 1957), The Man I Love (Capitol, 1957), Jump for Joy (Capitol, 1958), Pretty Eyes (Capitol, 1960) and Christmas Carousel (Capitol, 1960). Learn the story behind the making of these and other classic recordings, including the Ella Fitzgerald and Louis Armstrong album Porgy & Bess. Stella remains a devoted friend to her "Big Sister" Peggy, even appearing for Lee's 92nd birthday celebrations in North Dakota. This book was created through extensive email exchanges, phone conversations and visits between Stella and Edgar. We hope that the love and joy in writing it carries over to our readers. Fans of Jazz, Peggy Lee, harp music and the album Sea Shells are sure to enjoy the look back. Peg was nervous during rehearsals with the prospect of performing with the Los Angeles Philharmonic. The Los Angeles Philharmonic was comprised of 97 musicians. This was the closing concert of their 32nd season. The season had begun in June. There we were, Peg and her quintet on front stage center with the orchestra in place behind us. This concert was so precious to me. It is the most meaningful event of my career. Daddy was bass trombone player in the Los Angeles Philharmonic. He was seated behind us with the orchestra. He was in the brass section near the back of the Hollywood Bowl’s shell. That was his tenth year with them. What a privileged experience to be on the same stage with him. Daddy in a symphonic orchestra and me in Peggy Lee’s jazz group! with a Spanish mantilla. He designed Shirley Temple’s wedding gown in 1945. Greer also designed a coral flame-colored chiffon gown for the second part. Peg later gave me both gowns. I would wear them on stage with her. I had a collection. I later gave them back to Nicki and her daughter, Holly. Some of them were used for a collection requested by a museum. Peg didn’t require me to wear black as she did her male musicians. She preferred them in black suits. 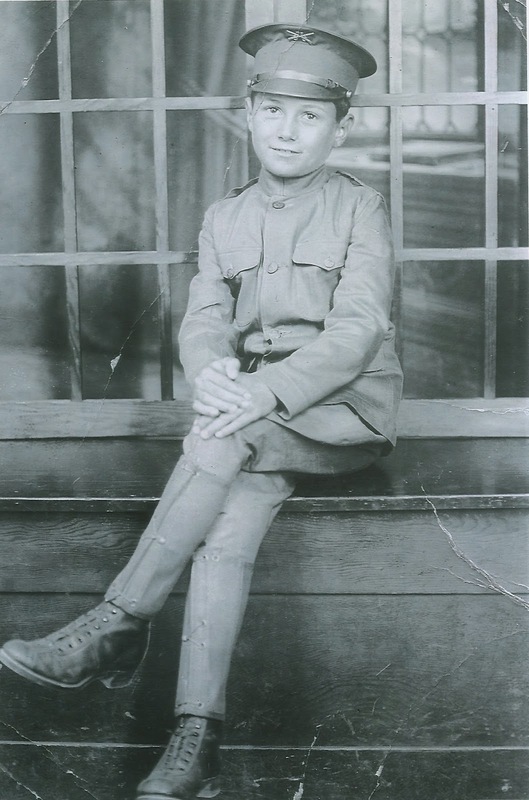 Stella's Uncle Don was was born on October 12, 1909. He was also her Godfather. They shared a close bond until his death in January of 1958. We were not able to get his photo in Diving Deep for Sea Shells. We share it here for the moment. In future editions we will correct this. 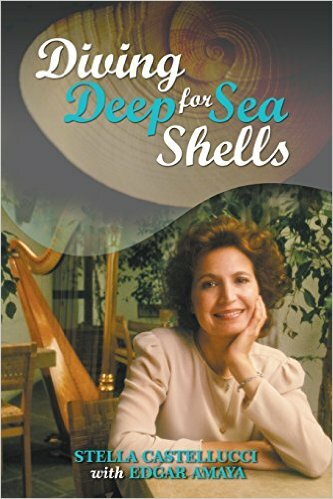 Diving Deep for Sea Shells is making its way into hearts and homes all over the world. Send us your photo with it. Thank you to everyone who is already reading! We look forward to sharing information and updates about Diving Deep for Sea Shells and exclusive content. 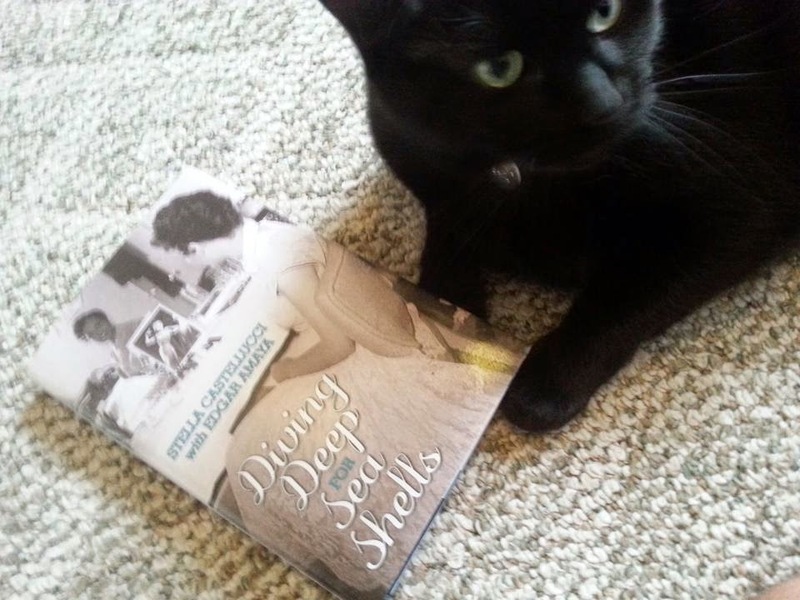 If you have already read Diving Deep for Sea Shells please let us know what you think in the comments. You can also find it at many other retailers that sell ebooks. The story of Stella's life in music. Click the cover to purchase from Balboa Press. Also available at Amazon and Barnes & Noble. 2014 Stella Castellucci & Edgar Amaya. Simple theme. Powered by Blogger.